One of Cordoba's top highlights which should definitely not be missed! A unique experience with most unusual architecture and fascinating history! The Mosque–Cathedral of Cordoba is a medieval Islamic mosque that was rearranged into a Roman Catholic Christian cathedral. 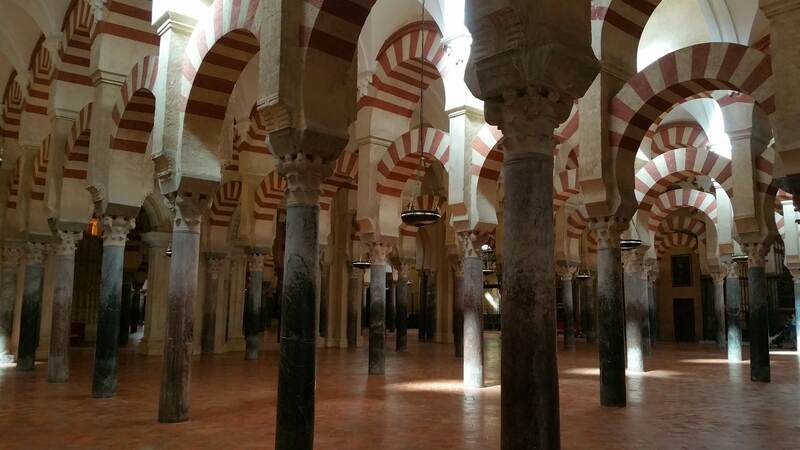 It is a stunning and fascinating building that symbolizes numerous religious changes Cordoba has undergone over the centuries. The construction of this terrific monument started in 784 AD and lasted for over two centuries. The historic centre of Cordoba, including the Mosque–Cathedral, became a UNESCO World Heritage site. Languages: the tour is available in Spanish, English and French. This tour will be organised in English. When you want to book for a different language please select the language selection on this website. Different language tours departure each day so your English guided tour will only be in English. The price includes: local qualified guide, ticket, audio receiver and VAT. Children under 10 years have a free entrance.